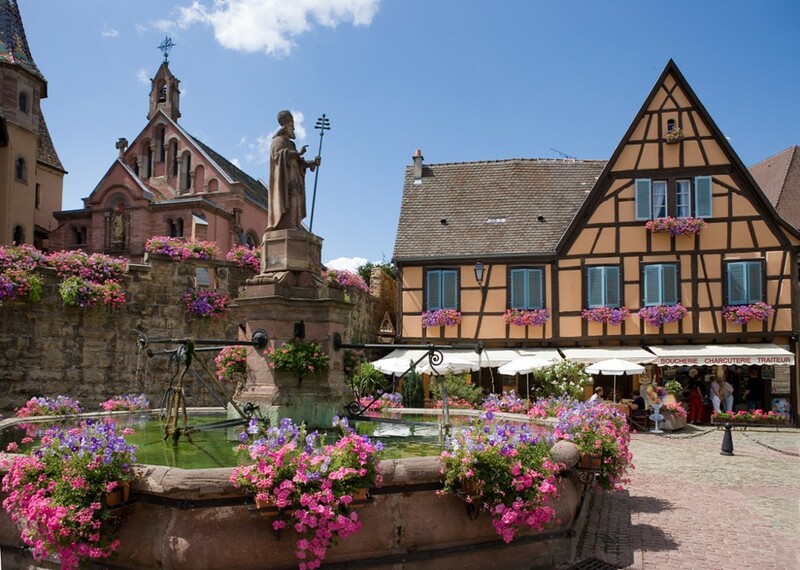 Surrounded by vineyards, nestling in a fold of green hills, Eguisheim is a medieval village whose narrow, concentric streets highlight the architectural merits of its half-timbered houses, lovingly decorated with flowers. Since 1985, this passion has been rewarded with the "4-flower" rating of France's National Floral Award. 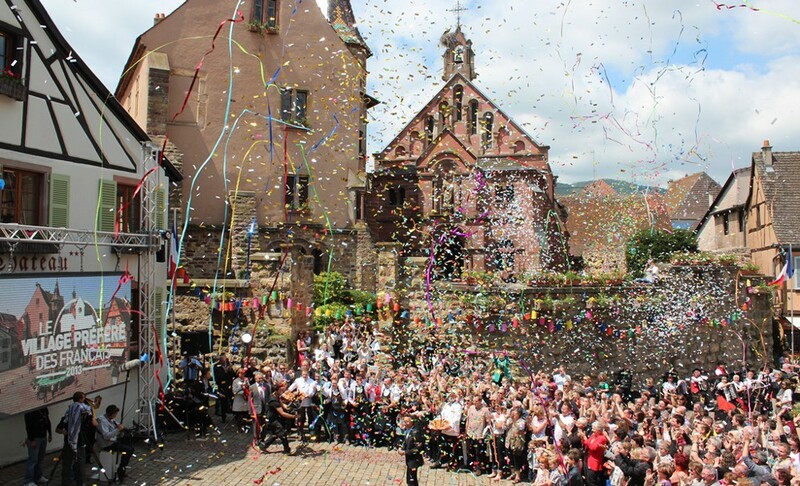 Discover in this unique village: historic fountains, tithe manors, a yellow sandstone church with a 13th century "Opening Virgin" statue. 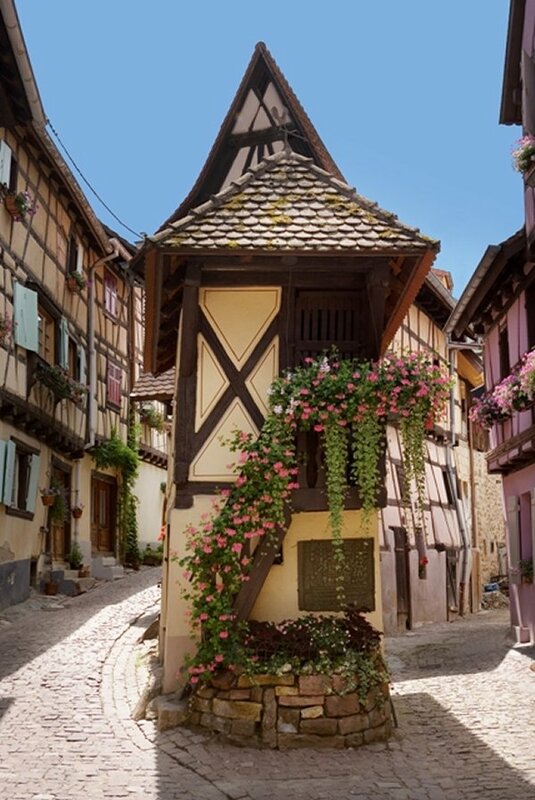 Stroll along its narrow streets and admire the broad spectrum of its coloured houses, where ancient inscriptions can be deciphered on the stone lintels. 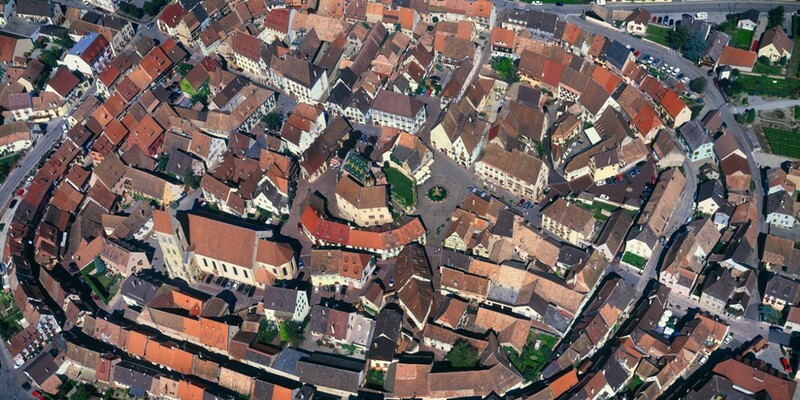 Fall in love with the personality of this most typical Alsace villages.